Juniors Stroller Rotating Toy | It can be used for car seats and more. 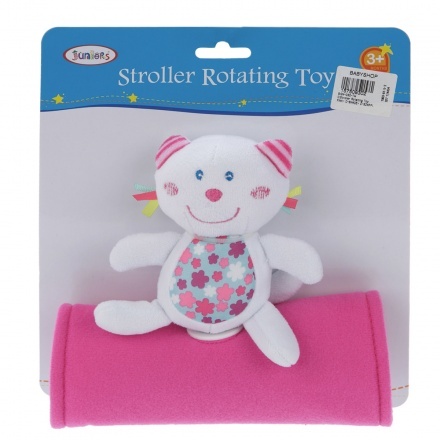 Featuring an adorable plush toy, this rotating toy is sure to uplift your kid's stroller on his evening strolls. It can be wrapped around the armrest and has a soft teddy bear with a printed belly on it. 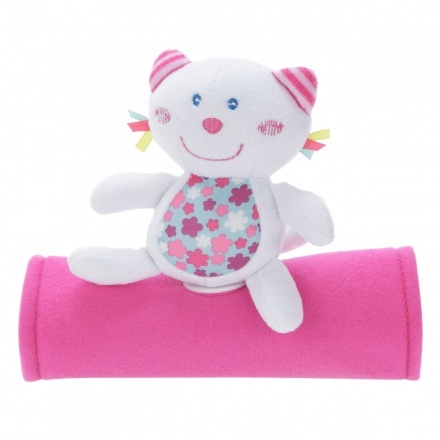 Its rosy cheeks and broad smile will surely get your kid joy. Feature 1 : It can be used for car seats and more. Feature 2 : It can be rotated up to 36 degrees and makes click-clack sounds.